It’s that time of year again! Send in your pics of your furry feline friend in their Halloween costume to win your very own, signed copy of Panda the Very Bad Cat. We are accepting entries from around the world because that’s where our readers are! Please include the name of your cat. 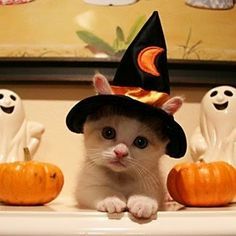 Send all entries to kittycatclan@yahoo.com before midnight EDT on October 29th. The winner will be announced on October 31st! Good Luck!